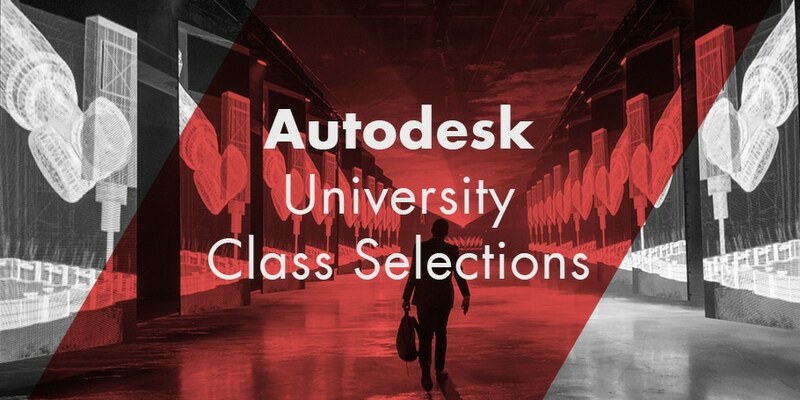 Receiving an Autodesk University class acceptance email is usually among the most exciting events for me around this time of year. Although wonderfully exciting, it pales in comparison to the event that’s taken me away from the office for the last couple weeks. With an incredible joy, my wife and I have welcomed a second son into our family. Mommy and baby are doing great, and it’s been a wonderful gift to spend this time away from the office with them. Although my focus has been on just about anything but work, it was with a great excitement I received an Autodesk University class acceptance email earlier this week. My tenure as an Autodesk University speaker began in 2007 when I presented my first ever class titled The Training Trinity. The class itself was the inaugural year for AU Unplugged, now called Roundtable sessions, and opened the door for me to share dozens classes with conference attendees over the years. The 2018 conference will by my twelfth consecutive year a speaker. This year I’ll co-present two classes, and present a third on my own. The A Match Made in Coordinates class is a repeat of the same class my colleague Purvi Irwin and I presented last year, and the two AutoCAD Tips & Tricks classes are both new for 2018. Many building site projects live in two worlds; everything inside the building, and everything outside the building. The two worlds only come together after an excessive amount of swearing, and hours of unnecessary time spent. But does it have to be that way? Absolutely not! Coordinating Revit and Civil 3D doesn’t have to require a degree in nuclear physics, and this session will show you how. Co-presented by a Revit and a Civil 3D specialist, you will gain an understanding of the expectations for each platform and how to configure it. With coordinated model locations in place, we will define effective practices for exchanging data between Revit software and Civil 3D software. Leveraging the full potential of each coordinated design model, you will learn how to assemble your project in the context of its surroundings using InfraWorks software, and generate a virtual reality scene. Establish shared coordinates between Revit and Civil 3D. Incorporate Revit model data in AutoCAD Civil 3D and Civil 3D model data in Revit. Assemble design model data into an immersive InfraWorks model. Generate virtual reality scenes of your complete project model. If you want to master AutoCAD, join Autodesk Expert Elite member Donnie The CAD Geek, Gladfelter as he shares a plethora of power-user tips acquired from writing six books on AutoCAD and blogging for more than a decade. Donnie will take you through a powerful collection of proven productivity techniques that are certain to improve your everyday drawing life. From simple to advanced, you are sure to discover new ways to remove tedium and boost your ability to meet project deadlines. Complete common AutoCAD tasks in fewer steps. Harness recently added features to improve productivity. Leverage AutoCAD across platforms (desktop, web, & mobile) to improve collaboration. Use secret tips AutoCAD software veterans and gurus know. The desert sun blasts down on the two gunslingers. A tumbleweed rolls by. Somewhere in the distance, a hawk screams. No one knows why a hawk is inside the building, but it’s Vegas so no one bats an eye. The two men square off in the crisp climate-controlled air of The Venetian. Fingers poised over their mouse and keyboard, ready to let loose with a salvo of clicks and command line inputs to see who has the hottest AutoCAD tip in town. With so many drawing variables at play, it’s impossible to say who will share the most commanding tip. The only guarantee is TheMadCadr and The CAD Geek will present their sharpest shooting productivity tips, tricks, and techniques for this winner-take-all duel in the desert! Though there will be but one loser in this duel, there will be many winners who discover new ways to remove tedium and boost productivity on their projects. Cowboy boots, large belt buckles, and ten-gallon hats are optional, but encouraged to pick up what these two are putting down. Increase productivity with recently added features. Learn how to make use of underutilized features. Push AutoCAD to new extremes with tips veterans and gurus know.